I've tried a fair few teeth whitening products in my time, I've never been one of those people obsessed with getting white teeth as I never really smile with them (overbite probs! ), but I've found theres no harm in giving it a go! Other whitening products I've used are normally a gel to be used with a retainer or on a UV thingy that you shove in your mouth, however when I heard that WhiteWash Laboratories do a whitening toothpaste I was super excited to give it a try. The little pack I got sent felt quite high end, which is different for me, I'm a Colgate girl normally! I loved the overall packaging of the toothpaste and I liked that there was also a little toothbrush included. The thing I found most intriguing was the unique way the toothpaste is dispensed, the lid is on the bottom and you push the button on the top to squeeze out the right amount, it's the little things! With the toothpaste being whitening I enjoyed just being able to brush my teeth in the morning and night like usual and not having to put extra gels on etc. I tried the Remineralising version, which contains Hydroxyapatite which is one of the building blocks of tooth enamel with a multi-whitening effect to help restore teeth to their natural whiteness and also helps to prevent tooth sensitivity. It also contains fluoride and xylitol to help prevent tooth decay. Technical terms out of the way, heres how I got on! The toothpaste actually tastes alright, some whitening products I've used taste horrendous! I found the idea of not rinsing my mouth out after brushing a bit strange at first and there were a couple of times I did by accident! But it did make me feel like the toothpaste was doing its job. After using it for two weeks I can see a subtle difference, I didn't expect it to be mind blowing but they are definitely looking a touch whiter, it's not like I went out of my way, so I'm pleased overall! 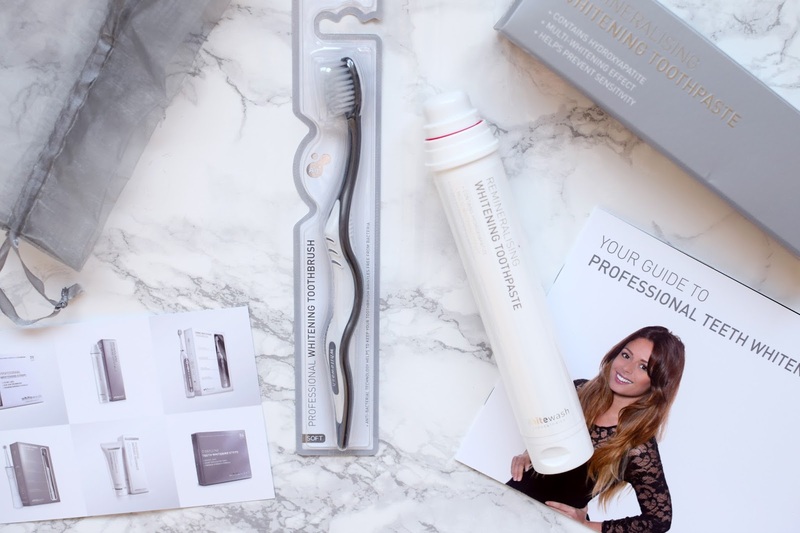 Have you tried teeth whitening? You don't rinse your mouth after? I'm not surprised you forgot a couple of times - I'm sure I'd forget at least the first ten times! Anything different early in the morning is something I'm bound to get wrong :-P Glad it worked for you, though.